According to numerous studies, video games are not as bad as some people think. Actually, games have more health benefits than negative effects. Children and adults can gain a lot through gaming. But most people think if their kids spend several hours staring at the screen, their eyes will hurt and they will ruin their social lives. Even though there are some bad effects of gaming, it is important for both parents and children to understand what gaming offers. For instance, today, digital games can be used as a therapy for individuals stressed with mental health conditions. Health experts all over the world are using games to help depressed or stressed people. Even though playing games has several disadvantages, it is one of the best therapies for individuals with mental issues. People suffering from mental conditions such as anxiety and depression can benefit a lot from the activity. Whether you are playing simple games or a complex one, the activity can make you feel less stressed or anxious. For instance, by playing a simple game like Angry Birds, it can help boost your mood and make you feel happy and relaxed. Also, playing video games can motivate people. This is very important, especially to someone who is depressed. It is important to note that playing games is the neurological opposite of anxiety or depression. Hence, when you play video games, you become less depressed. Also, there are several games that have been developed to help mental disorder cases. A video game like Sparx has been designed to help promote affirmations. Based on research, Sparx can help reduce negative thoughts, relax the mind and improve moods after playing it. This means that if someone is depressed, it is important to allow them to participate in gaming. Although playing a game for long hours can cause serious mental problems, gaming for a few hours can improve your mental health. People who play video games for about five hours a week have better mental health than non-gamers. There are also several case studies that show gaming can enhance mental health. Here are some ways on how gaming can improve your mental health. Most media platforms report that gaming is bad for our children’s health. However, research shows that playing video games can be used to treat the most common mental disorders, depression, and anxiety. By playing a simple game for just 30 minutes every day, you can treat depression and anxiety better than using medicine drugs. Some games that can help include puzzle games, and strategic games. These kinds of games have an ability to lessen symptoms of depression and anxiety. Another mental disorder that can be treated effectively by playing digital games is PTSD (Post-Traumatic-Stress-Disorder). People struggling with the problem have reported great improvements after associating themselves with the activity. For example, a study showed that people with PTSD who played a game known as Tetris experienced fewer flashbacks that individuals who did not play. Even today, some health centers have started using games as a way of treating several mental disorder symptoms. One major benefit of playing digital games is its good effect on the memory. Whether you are playing strategic games or action games, it can help to improve your mental health. However, research shows that playing challenging games such as Super Mario can have more health benefits than other games like Angry Birds or Candy Crush. Depending on the game, elderly people are less likely to enjoy playing difficult games. Elderly people can also reap mental benefits from playing casual games. 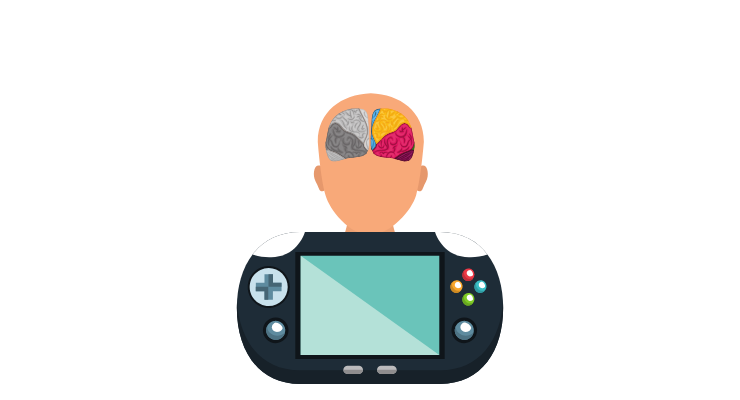 Recent studies show that elderly people who participate in gaming can enhance their memory and brain health. This is because gaming helps them learn new skills, engages them in activities, and keeps them happy. When the brain of an elderly person is engaged, it reduces the odds of suffering from conditions that can affect their overall health. People with mental health are always afraid to interact or socialize with their neighbors, friends and their peers. They struggle endlessly because they believe people would judge them based on their conditions. Happily, gaming can help. Although some parents think gaming is a hobby for anti-social people, it is a social platform that can help you make new friends. Gaming is a platform where gamers can meet with each other and interact freely. Actually, modern video games have provided ways that can increase the social experience. For instance, people playing online games can help to encourage competition, cooperation, and interaction with real-world people. The claim that games can make people smarter may not be true to some people. However, there are many studies backing those claims. Studies have discovered that people who play digital games think faster and more accurately than non-gamers. It is also true that playing video games can increase the brain size. Gaming is among the most effective and efficient activities that can help kids and adults to generate positive feelings. Modern online games are created with huge fantasy worlds to explore. These fantasy worlds provide a place where players can express themselves by defeating monsters and play as a team. This gives them a chance to forget about their life issues, and develop strategies on how to solve them. Aging brings a variety of problems, particularly mental problems. Happily, when you engage in gaming, it can reduce the aging process and improves your mental and physical health. There are games that are called brain-games. They involve memory, problem-solving, strategies and puzzle skills. These kinds of games are very important and can help to slow down the aging process. In a study, 10 hours of playing your favorite video game can lead to continuous cognitive functioning. It is also significant to note that uncontrollable and excessive gaming can lead to numerous health problems. Hence, moderation is important to ensure everyone reaps the benefits of playing video games. In recent years, almost everyone is enjoying quality time playing games. To ensure, you benefit from the activity, it is important to understand the type of games to play and the appropriate duration of gaming.